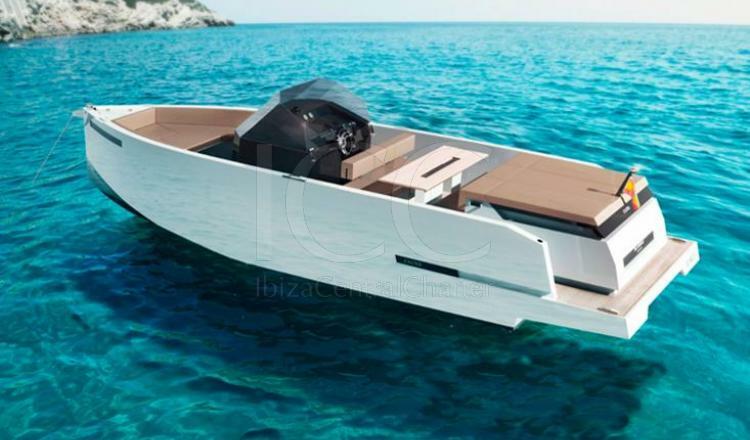 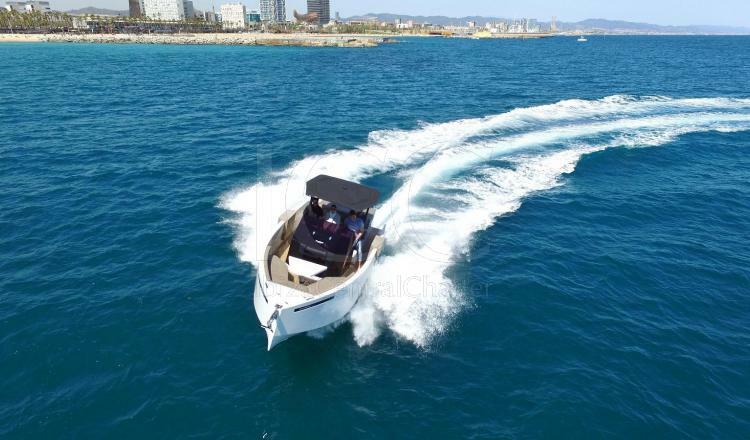 De Antonio Yachts D28 Open motorboat , is at your disposal in order that you could sail comfortably around Ibiza and Formentera islands without forget any nook for discovering. 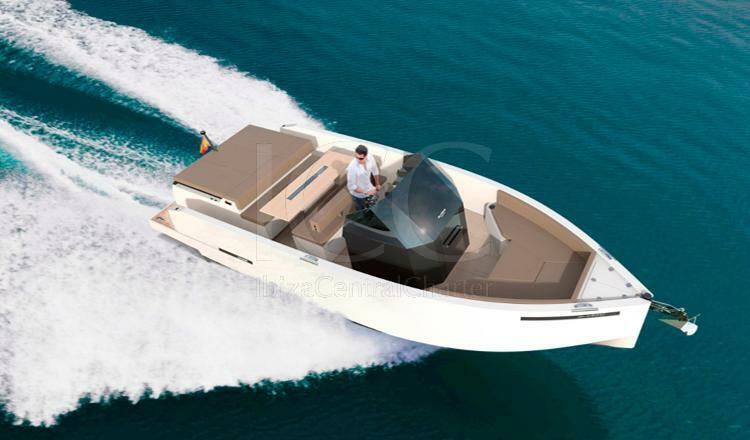 300 HP G2 Evinrude ob. 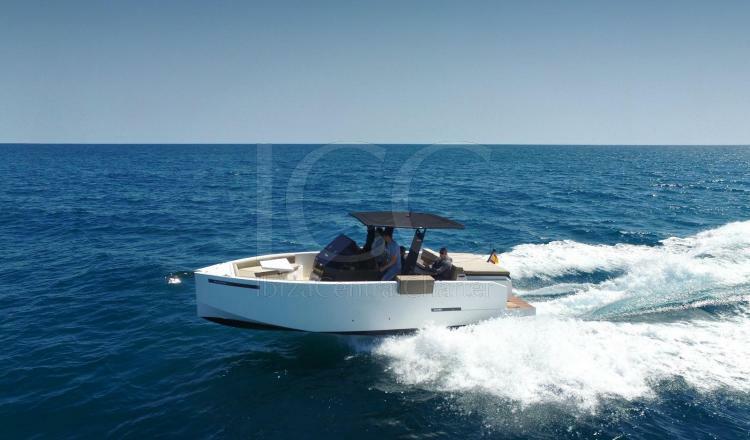 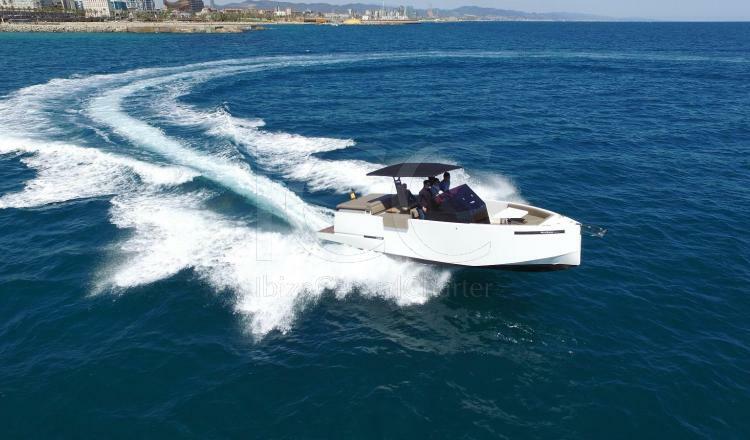 De Antonio Yachts D28 Open motorboat is an example of efficiency in his design, being a ship of almost 9 meters of length you will discover that is unnecessary anything else to enjoy the sea. 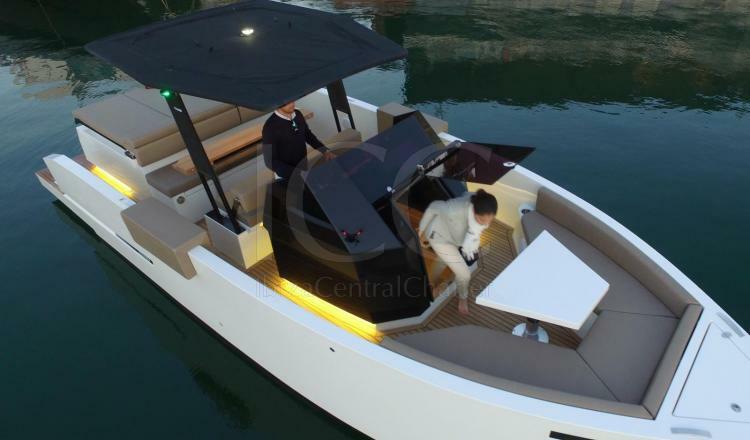 The exterior plant shelters a U-shaped sofa with folding table that turns into a fantastic solarium in the bow and gives you the opportunity to manage this space according to the needs of the moment, good to sunbathing comfortably or turning into a perfect space where have lunch in family or with friends. 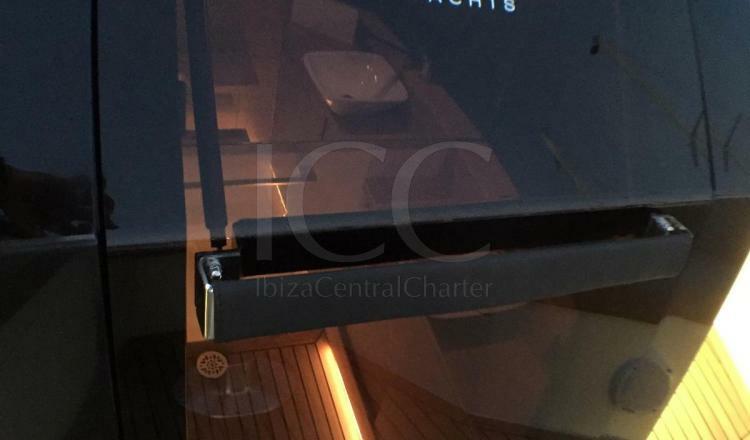 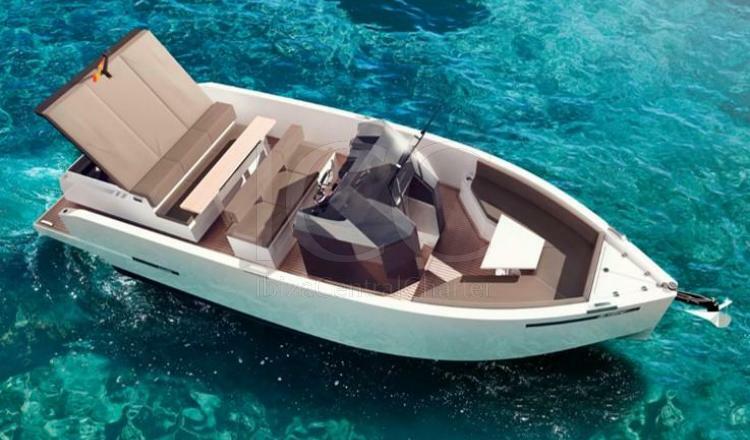 In the stern there is located another solarium accompanied by a tent, an icebox and a stereo that all together become into the best chill out from which to admire the Islands Pitiusas. 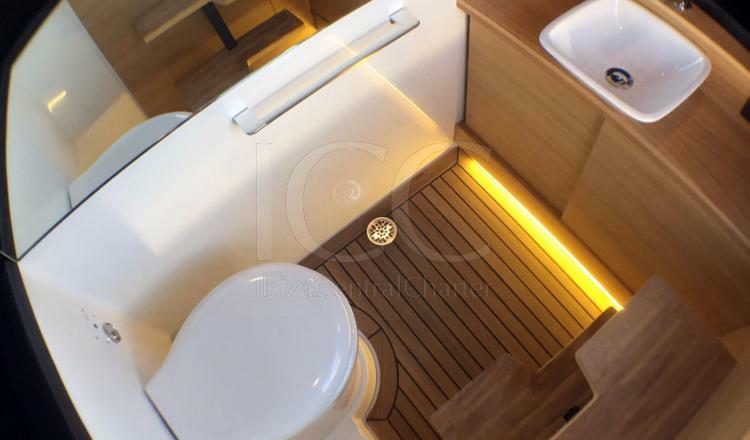 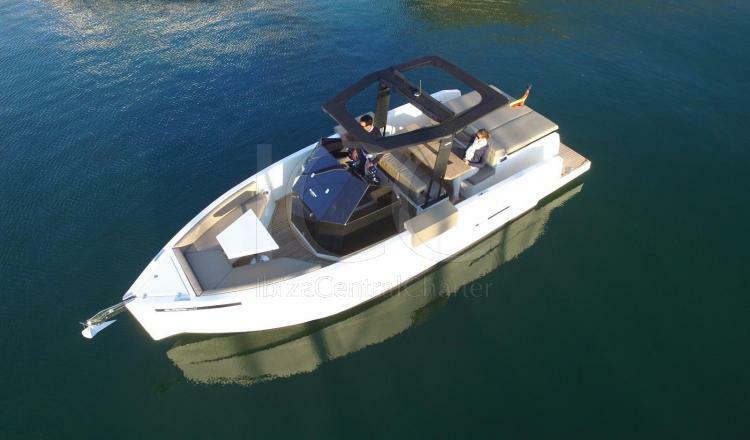 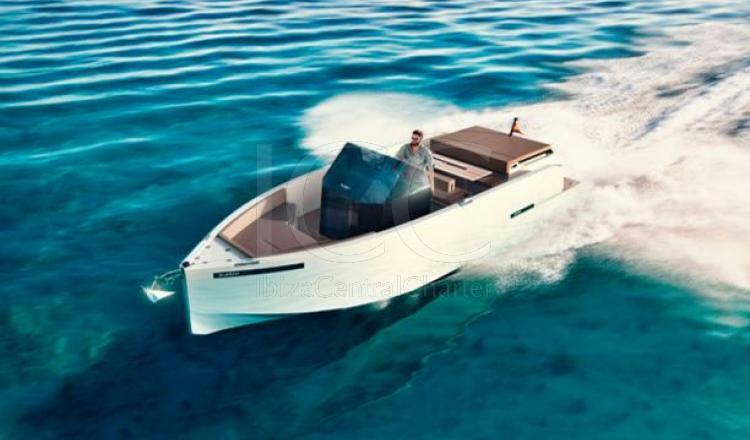 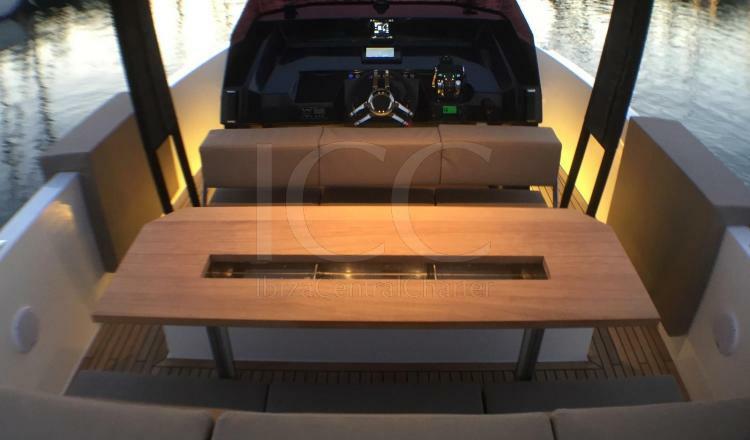 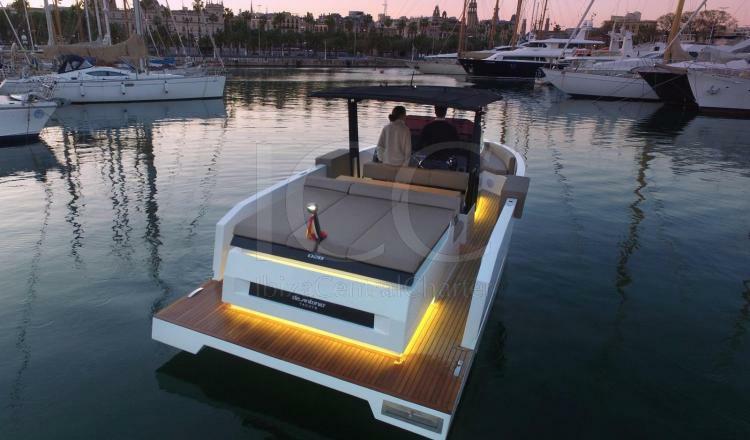 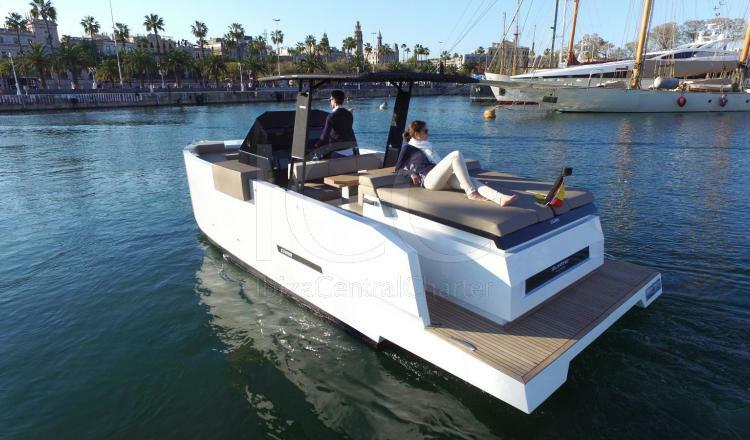 And if it encourages to pilot this ship, De Antonio Yachts D28 Open will make you feel like a real captain in a seat of three places from which you will be able to be accompanied during your aquatic excursion.